Many visitors to our Gallery take the time to view every coverlet on display, and maybe those in our storage facilities, but very few tend to notice the small table in the corner. From afar, this table holds what appears to be a pile of cardboard, but this “pile of cardboard” is the very reason that we have our coverlets today. In the McCarl Coverlet Gallery, we display a chain of punched cards, which was used on the Jacquard loom in the manufacturing of all coverlets. The Jacquard loom was invented in early 19th Century France by Joseph-Marie Jacquard. The idea of a machine regulated by a set of punch cards was not a new idea; the original music boxes and early looms used this same concept. M. Jacquard worked to improve upon the 1745 loom by Jacques de Vaucanson and created the first fully successful card-based loom. The Jacquard loom consists of many hooks which attempt to move the warp thread to the opposite side of the weft (see picture below). This only occurs at the locations in the coverlet which correspond to one of the holes in the punch card; otherwise, the warp remains on the same side of the weft. The punch cards that are used in the Jacquard loom are connected together edge-by-edge by rope to form a large loop. 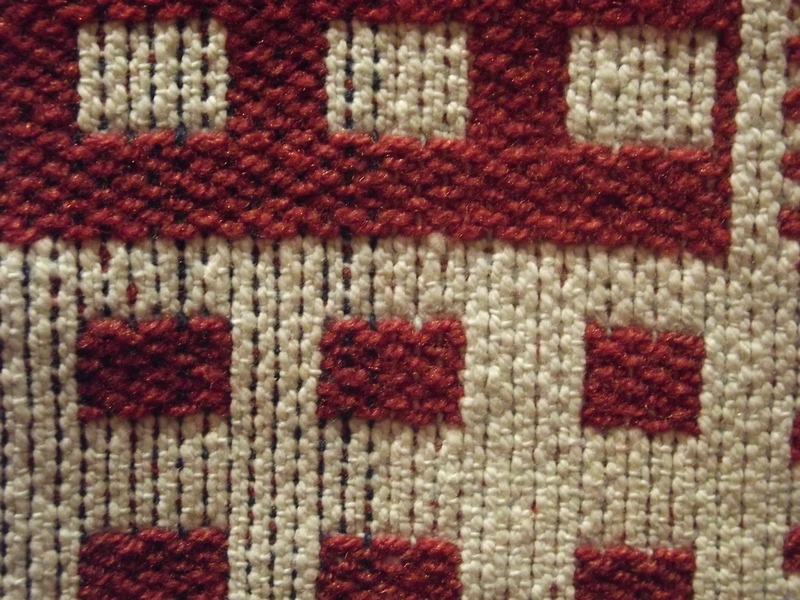 It is this loop that creates a repeated pattern within the coverlet’s design. 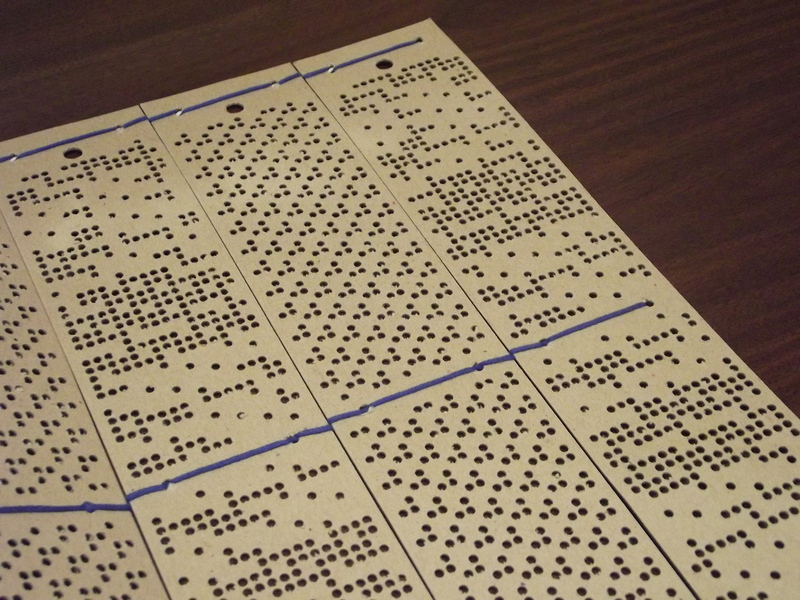 This concept (a punch card controlling a set of pins) was the predecessor of many following inventions: early player pianos, the tabulation of the 1890 U.S. census, and even the modern computer. Look out for a future post about the influence of the Jacquard loom on modern technology! They have a Jacquard loom [local] here at Greenfield Village in Dearborn, Michigan! Thanks for reading! The Jacquard looms are so interesting and historic, it is great one you have one on display in your community! Wow, thanks for the insight! Have you seen it in person? Because there are only a few left, I have not actually seen one in person. My staff and I rely on videos and pictures which can be tricky sometimes!